Al-Anon's old website had grown organically over the years and users struggled to find the content they were looking for. Key user journeys for each audience. Use of social media by audience. Examples of best practice in other websites. The new Al-Anon website ha s a fresh new look and includes signposting to key content from the homepage. 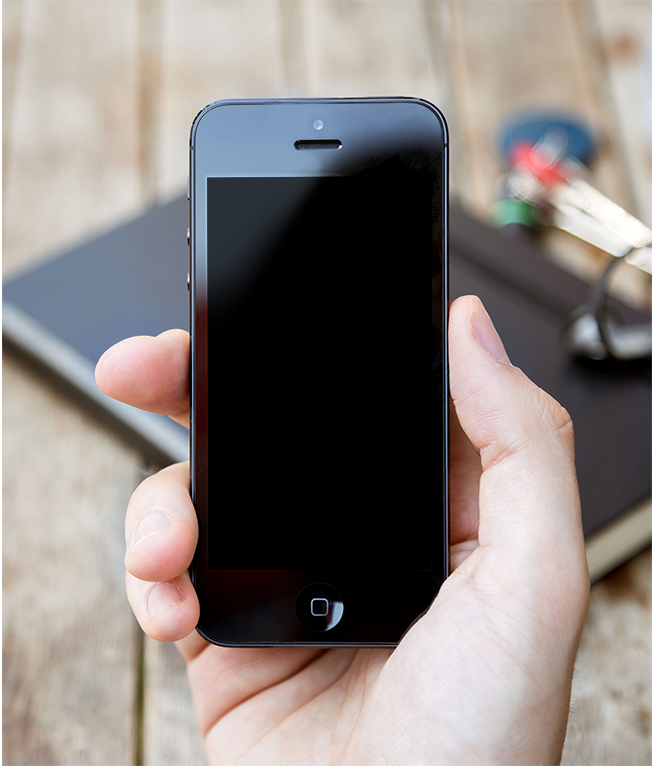 Users can search the database by postcode or country and view details of their nearest groups and events. 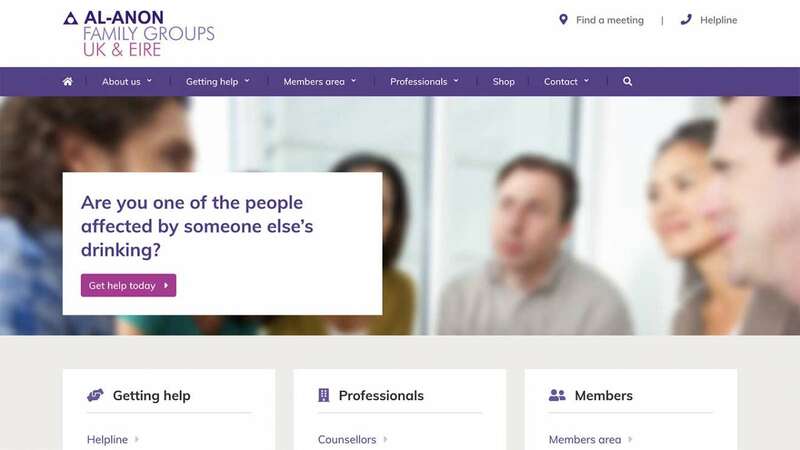 The new navigation structure, designed by the stakeholders, enables quick access to all key pages along with the ability to drill down into more detailed content for member groups. 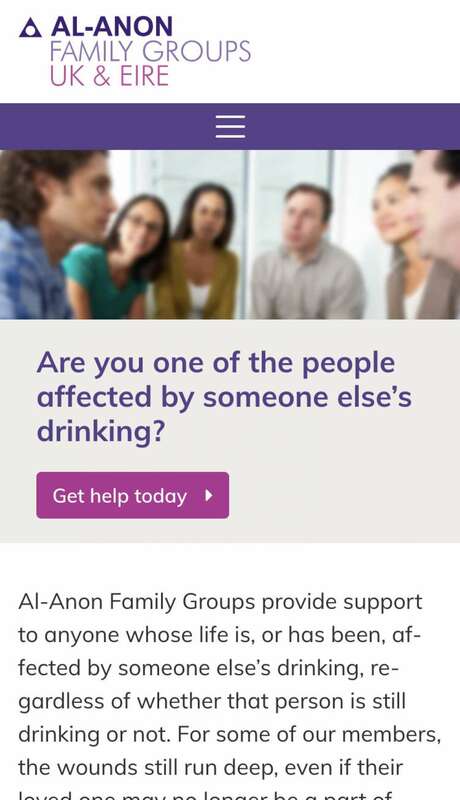 The new website is backed by a bespoke content management system designed around the database of Al-Anon groups. The charity's volunteer network also use the CMS to support their telephone and email helplines. I just wanted to say thank you for all your hard work to bring the project in on time and on budget. We are all very pleased with our new website – a huge improvement. I’m looking forward to feedback from our members.